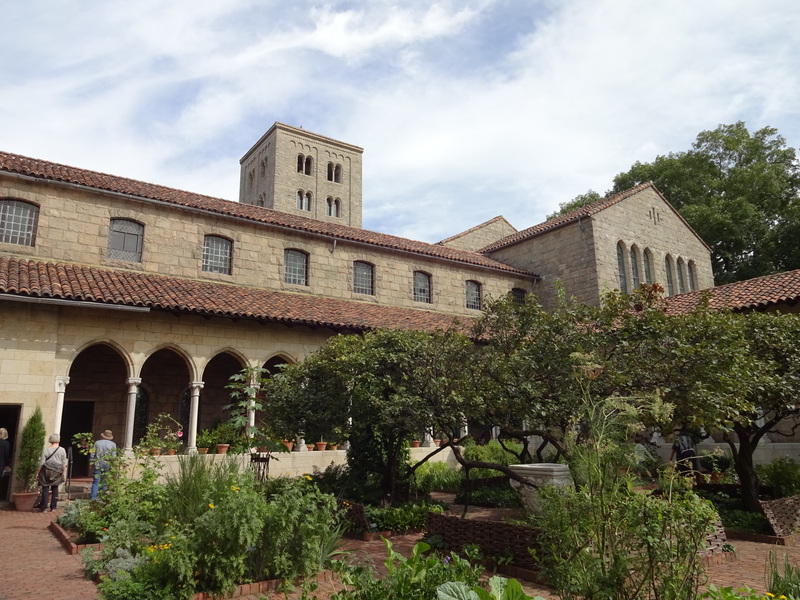 One of my favorite places in New York City is the Cloisters, a branch of the Metropolitan Museum of Art. Most people who visit the Met go to the main museum building located on Fifth Avenue on the Upper East Side. 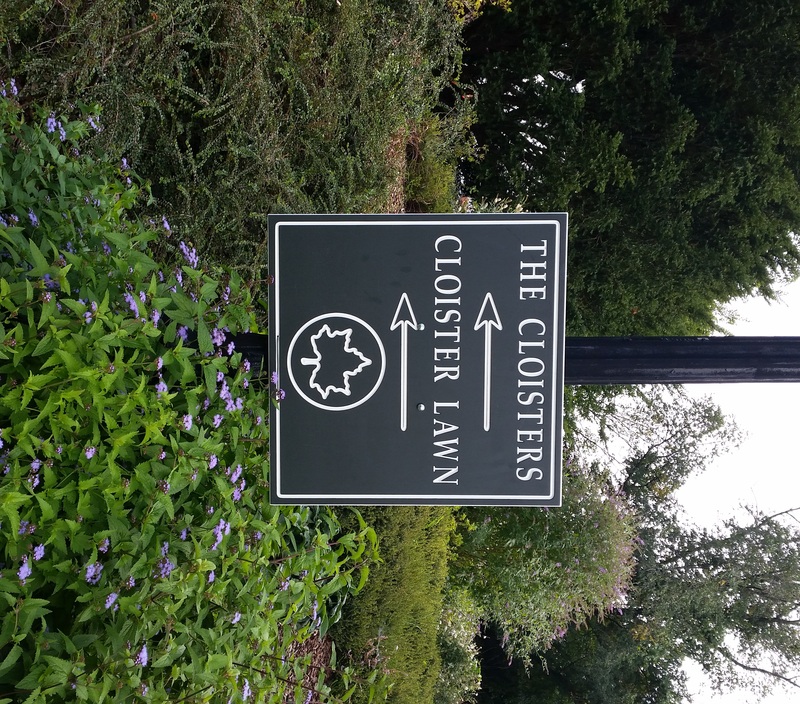 They don’t even realize that the Cloisters museum exists. 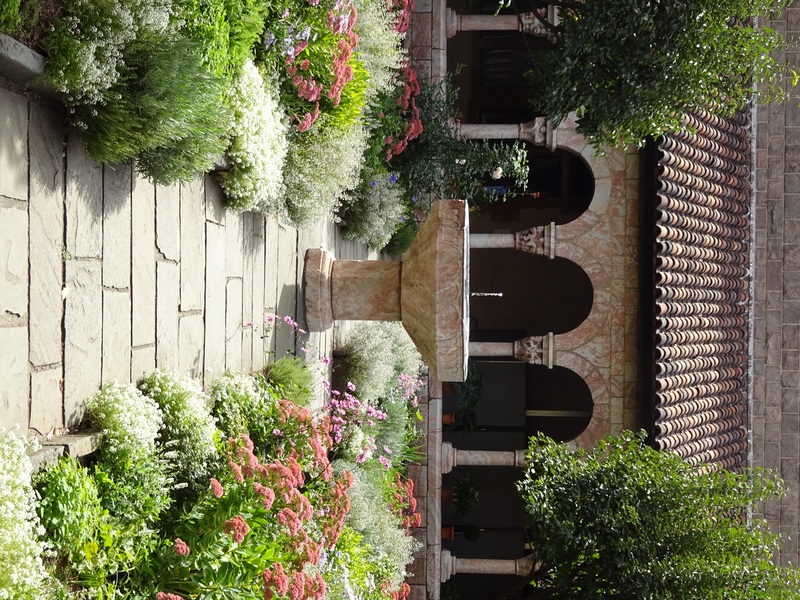 And that’s part of what makes the Cloisters so special–this museum is a peaceful haven, rarely overcrowded. If I’ve had a hard week and need to recharge my batteries, the Cloisters is the first place I think of going. 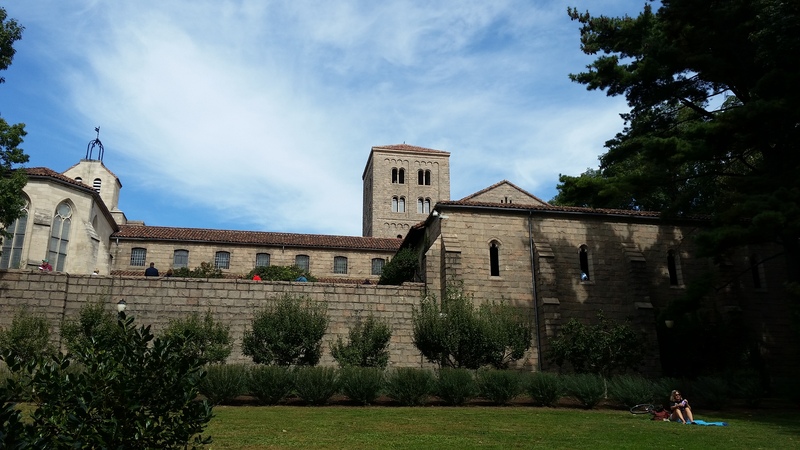 So what makes the Cloisters different from the rest of the Met? The museum’s architecture and art is drawn from the European Middle Ages, mostly the 11oos through the 1400s. You aren’t just looking for art on the walls and in display cases–even the doorways, inner courtyards, and ceilings reflect the art and architecture of that era. 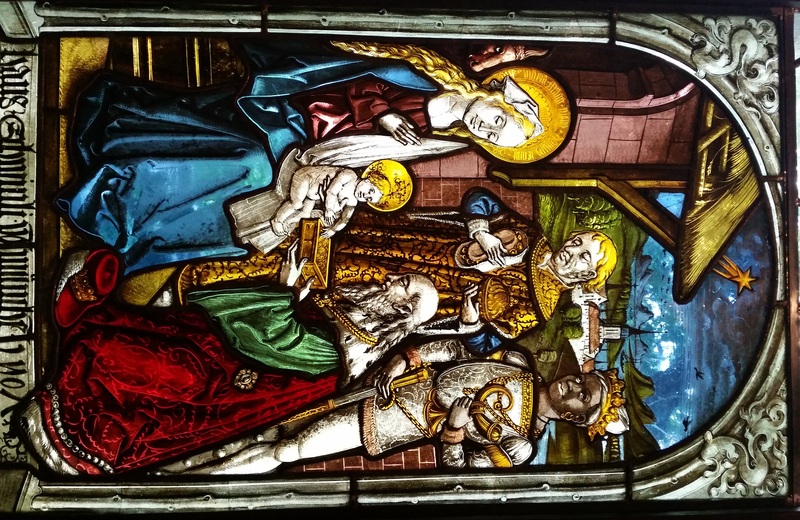 Much of the focus is on religious art and architecture, although there are also some fine examples of domestic art from the same period. 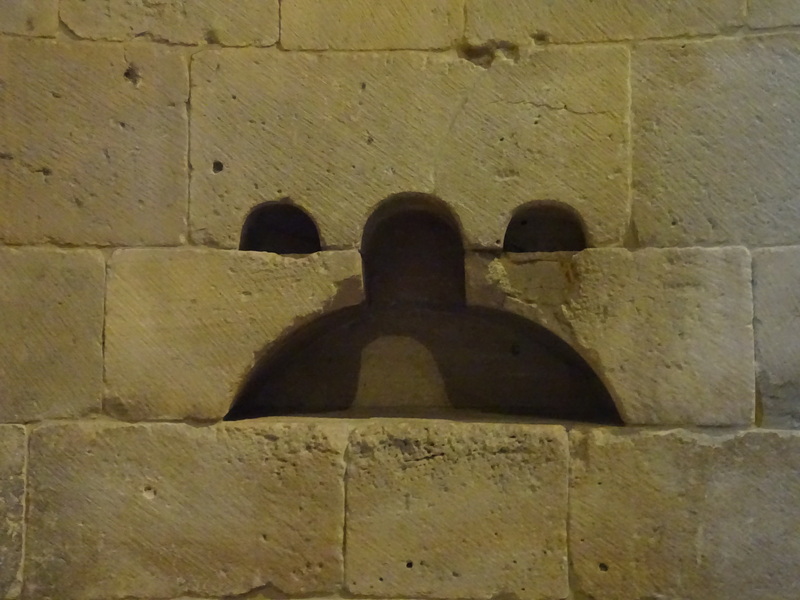 Some of my favorite parts of the Cloisters are the architectural features. 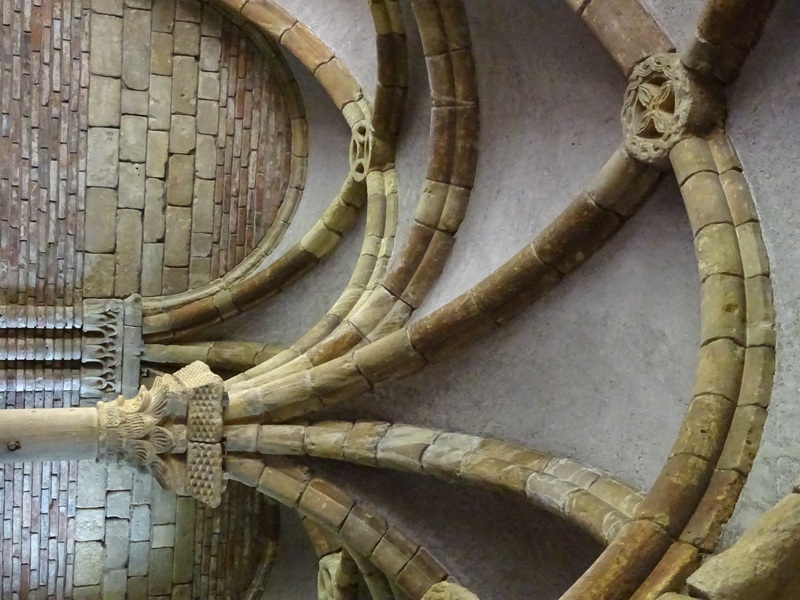 In particular, I find myself drawn to the Pontaut Chapter House gallery, which came from a 12th-century Cistercian abbey located south of Bourdeaux, in France. It is an example of Romanesque architecture. 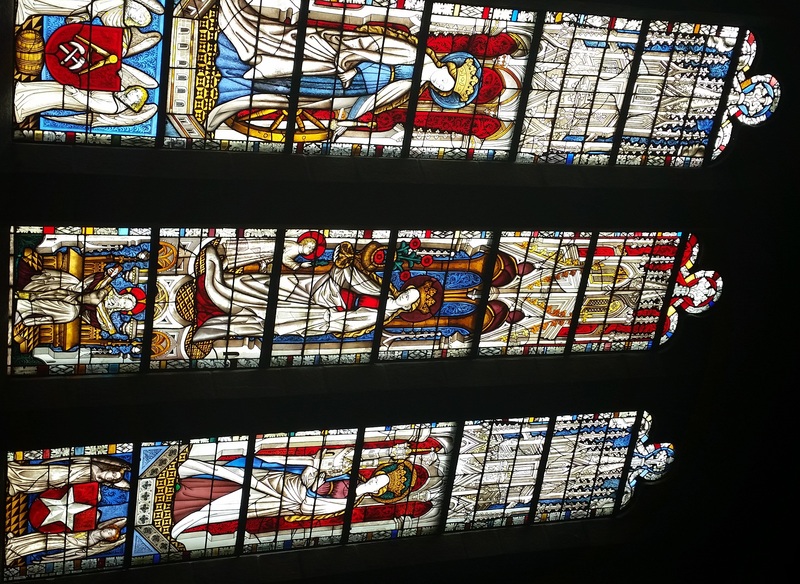 As shown in this photograph, the chapter house had a beautiful, intricate ceiling. The Chapter House windows, framed by thick stone walls, provide filtered light to this quiet place. (You can also look through them for a glimpse of the Hudson River.) The more you take the time to look around, the more details you will notice. The room has benches along the walls that invite you to take a seat while you carefully inspect each feature. 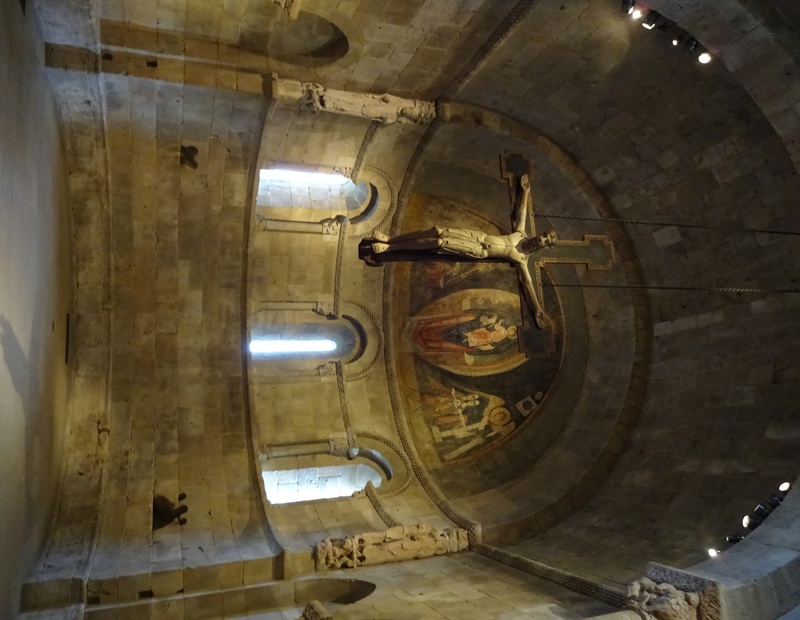 Once you enter this room, the Apse from the Church of San Martín, at Fuentidueña, Spain, you see this impressive sight. 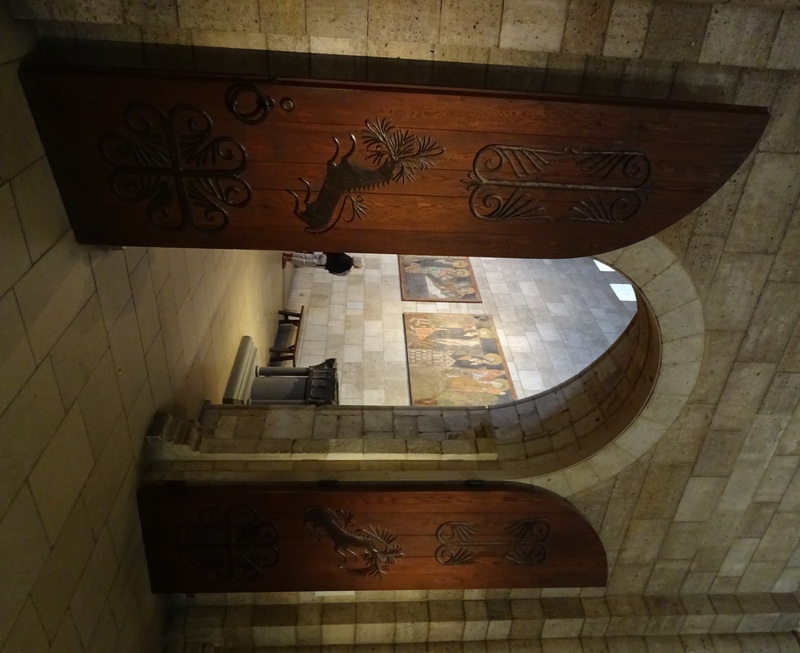 The room contains several murals and other architectural features to explore as well. 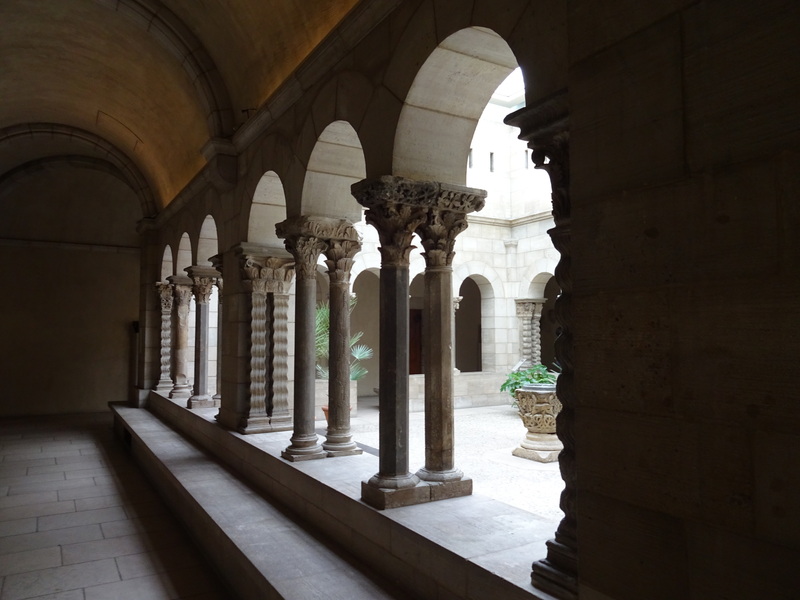 Another space that I love is the hallway surrounding this cloister, set off with a series of stone columns. This particular cloister is covered by a skylight that lets in bright natural light. 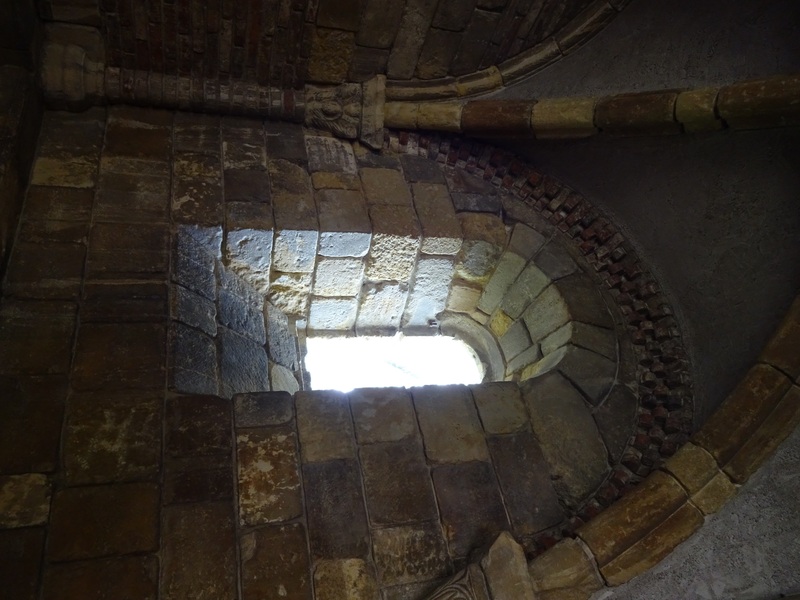 The cloisters also have abundant seating, where you can sit and reflect on what you observe around you. 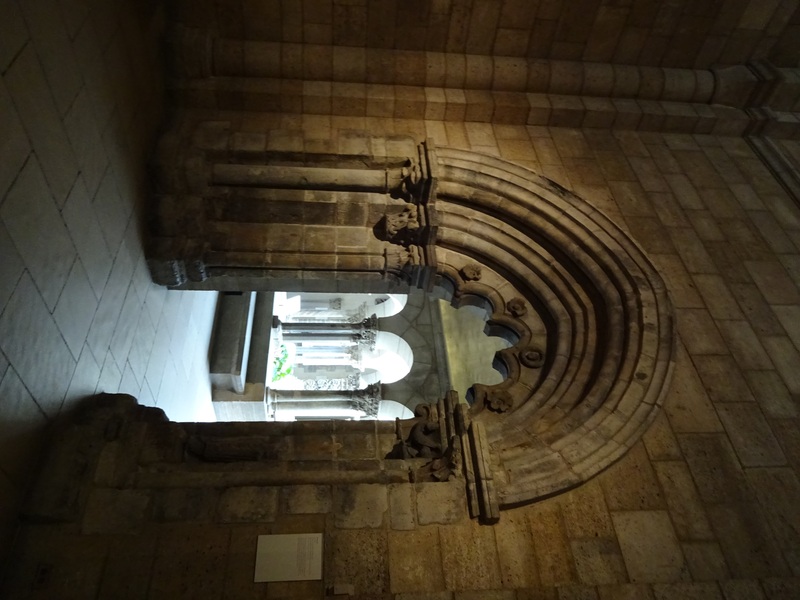 The photograph below shows the same scene above from another perspective, looking through one of the museum’s other fine architectural doorways to the cloister in the distance. And of course there are countless other works of art on exhibit throughout the museum. 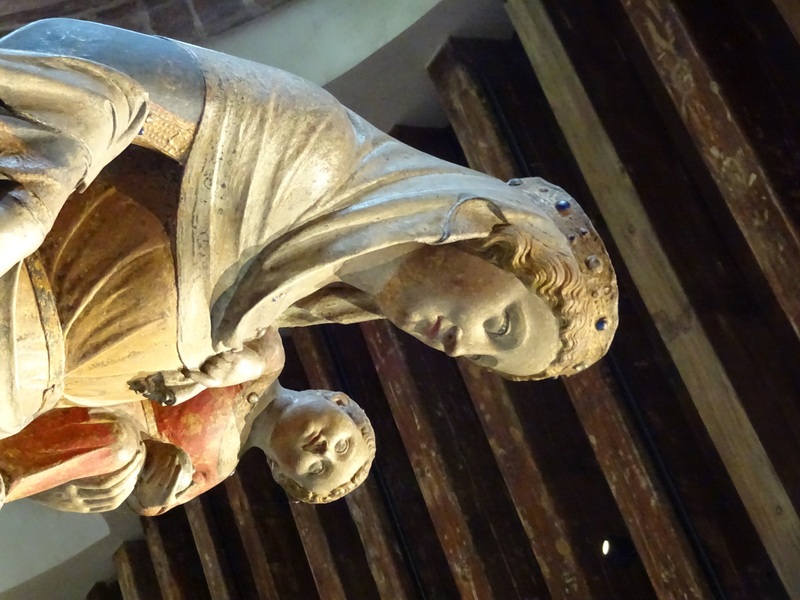 Here’s a close-up view of one of my favorites, a French statue of Virgin and Child, ca 1340-1350. 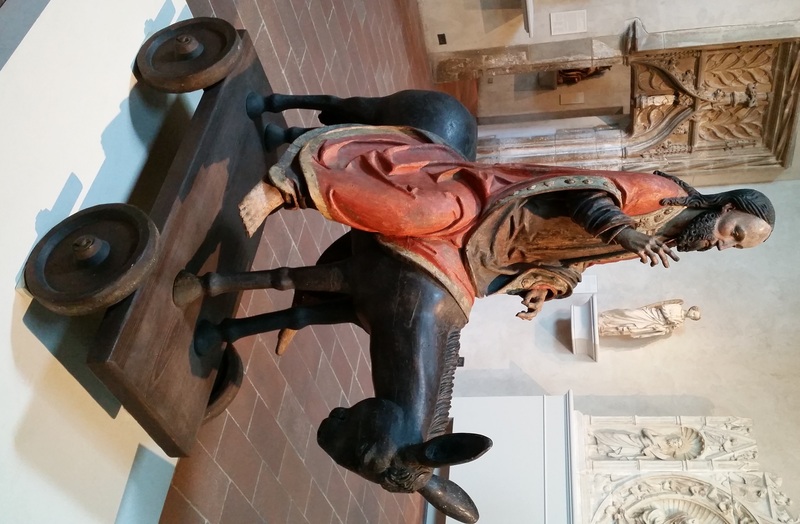 I also like this 15th-century German statue of Jesus riding the donkey on Palm Sunday. There is something about this statue that just appeals to the child in me, with its life-size details. And there is a collection of richly-colored, intricately detailed tapestries, including a series of tapestries featuring a unicorn. In fact, there’s an entire room dedicated to these tapestries. 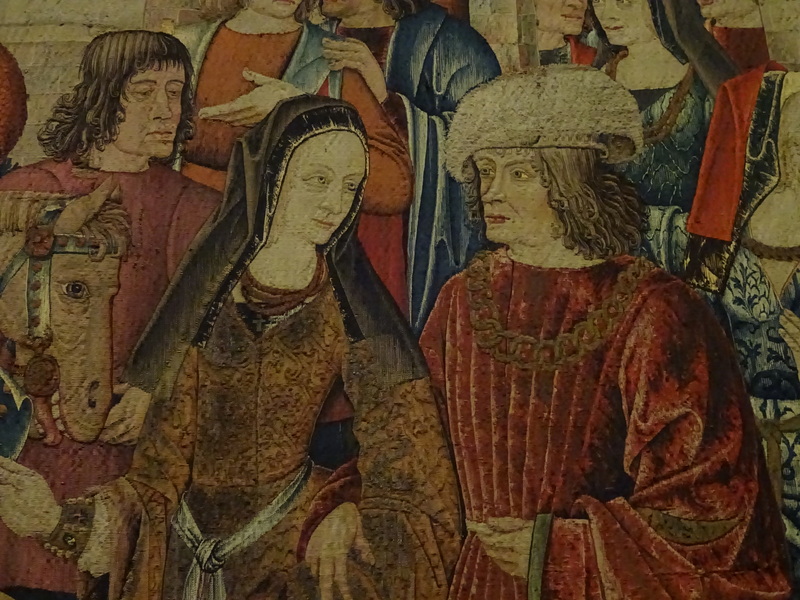 During my visit last week, I took this photograph showing some of the detail from one of those tapestries. Here is a view of the museum’s exterior fruit and herb garden. There is a gardener’s room where you can learn more about the medieval plants that are grown onsite. 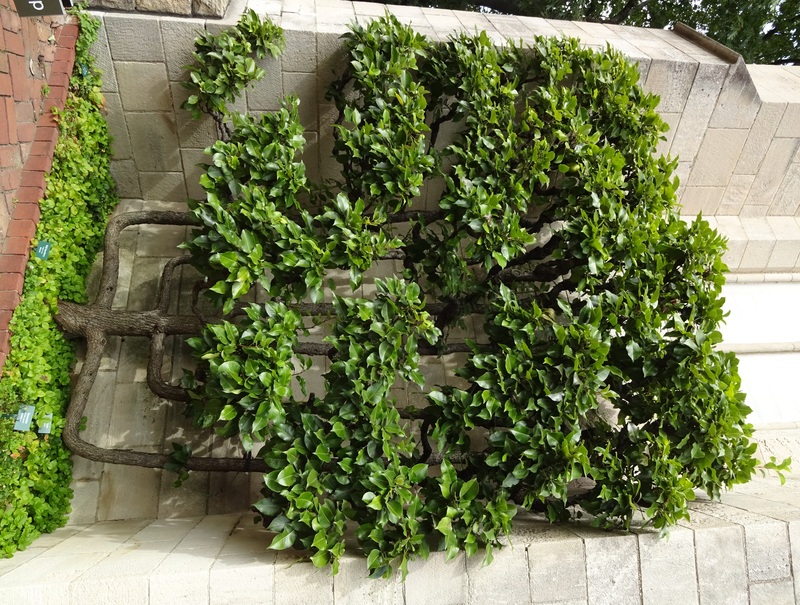 The garden also has espalier fruit trees. For those who have never seen one of these trees before, here is an explanation I found for how they are grown. And here is a photograph I took of one of those trees.